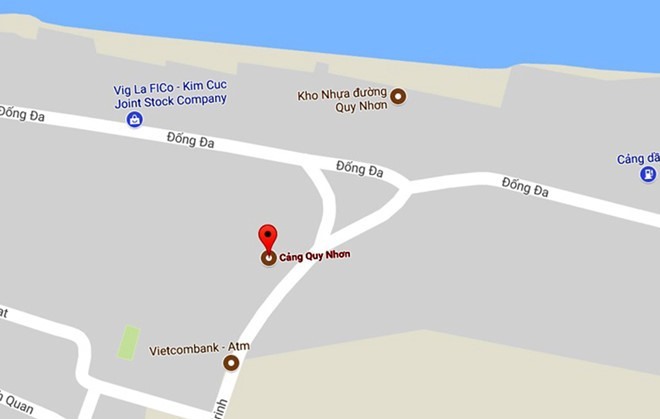 BÌNH ĐỊNH — Việt Nam Maritime Administration (Vinamarine) has submited a request to Bình Định Province People’s Commitee for a licence to dump 439,000cu.m of waste mud into Quy Nhơn City’s sea. If approved, the waste mud would be dumped near buoy number zero, at least 2.5km from the coast. On Tuesday, Đặng Trung Thành, director of Bình Định Province’s Department of Natural Resources and Environment, said the department has collaborated with Vinamarine and other related forces to investigate and evaluate dossiers. According to Thành, Quy Nhơn Port’s inlet is getting clogged, obstructing the arrival and departure of large vessels. To receive 50,000DWT (deadweight tonnage) ships, Vinamarine proposed the plan to dredge 439,000cu.m of mud to the Ministry of Transport, which got approved. Recently, it has submitted another application to Bình Định Province authority for waste dumping.